Taking a modern approach to straightening teeth, Invisalign uses a custom-made series of smooth, comfortable, virtually invisible plastic aligners. Your Invisalign treatment process begins in Dr. Rocke’s office with a free consultation. At your next appointment, we will take a mold of your teeth, x-rays and pictures. These are then sent to Align Technology where your entire treatment plan will be created in just a few days. Without metal brackets and wires, the aligners will gently shift your teeth into place, based on the exact movements Dr. Rocke plans out for you. Approximately every two weeks, simply pop in your next set of aligners until your treatment is complete and we have crafted a beautiful, functional smile to compliment your facial structure. 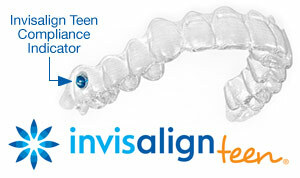 For more information on Invisalign in the Canton, GA area call Dr. Stuart Loos at (770) 345-8300 today!